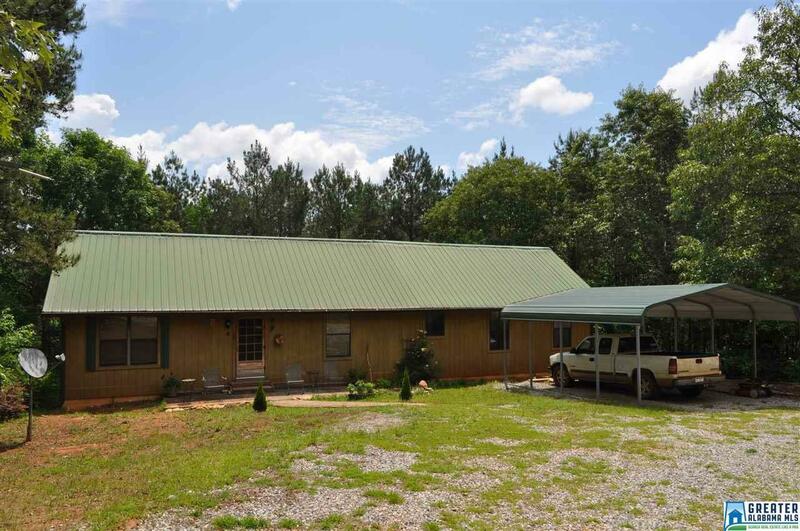 Hunter&apos;s Paradise on 4± acres!! This home includes an open floor plan with 3 large bedrooms and 2 full bathrooms. The main level features a spacious living room, kitchen, dining room, 2 bedrooms and bathrooms, hardwood floors throughout, and tongue and groove ceilings. The master bedroom has a large walk-in closet, additional coat closet, fireplace with gas logs, and master bathroom with double vanity and ceramic tile flooring. Also on the main level is an additional bedroom with large closet and bathroom that also has a double vanity, ceramic tile flooring, and walk-in shower. Kitchen comes complete with all appliances, island, Corian countertops, ceramic tile backsplash, and oak cabinets. Upstairs you will find two additional bonus rooms that could be used as bedrooms. There is a full-unfinished basement that can be used to expand living space or as additional storage. Outside you can find a 40X60 shop with power and wood stove, concrete patio at basement level, and fruit trees.